Due to the volume of child custody and parenting plan cases I conduct on a monthly basis, combined with the mis-information and lack of knowledge many clients have about child custody and parenting plans, I want to offer greater clarification about child custody and parenting plans. Additionally, I invite you to contact me directly if you have any questions about the information below or for more information about your custody case. What are the factors the court considers when deciding child custody, which in Washington is called a Parenting Plan? A “Parenting Plan” is a court order that sets forth the amount of time that a child will spend with each parent (the “residential schedule”), the method for resolving disputes between the parents, and whether one or both parents will make major decisions about the child. How do Washington State courts make child custody and parenting plan decisions? When considering these factors, the court must make a decision that is in the “best interests of the child.” The best interests of the child are served by a parenting arrangement that best maintains a child’s emotional growth, health and stability, and physical care. Further, the best interest of the child is ordinarily served when the existing pattern of interaction between a parent and child is altered only to the extent necessitated by the changed relationship of the parents or as required to protect the child from physical, mental, or emotional harm. See RCW 26.09.002. Washington State child custody and parenting plans are governed by RCW 29.09. Although that is the dissolution statute, parenting plans entered under the paternity statute (RCW 26.26) or the non-parental custody statute (RCW 26.10) fall under the criteria in RCW 26.09. While other states use "legal custody" and "physical custody," Washington simply designates one parent as the "primary residential parent." What most people think of as "joint" custody is what we call a "shared residential schedule" in which the child spends about half his/her time with each parent. RCW 26.09.197(3)(b) says, "the court may order that a child frequently alternate his or her residence between the households of the parents for brief and substantially equal intervals of time if such provision is in the best interests of the child." Obviously, practical concerns such as school districts, parents' ability to cooperate and communicate and disruption for the child are very important parts of what is in the child's best interests. A child custody and parenting plan is nothing more than a court order setting forth the amount of residential time the child will have with each parent. Courts will always interpret and enforce parenting plans according to the plain meaning of the language in the parenting plan. This is why it is so critical that parenting plans be as clear as possible regarding visits, exchanges as well as the rights and responsibilities of each parent. Also, a parenting plan is intended to be in effect well into the future. Parents have to think about the child both now as well as many years from now. What may work when a child is a preschool toddler may be very different than when he/she is 14 years old. School and extracurricular activities play a huge role in whether the court will adopt a shared residential schedule. Parenting plans that split the child's life neatly in two often get much more scrutiny to make sure the division really is in the child's best interests rather than the parents' convenience. The court must consider the following factors: (i) The relative strength, nature, and stability of the child's relationship with each parent; (ii) The agreements of the parties, provided they were entered into knowingly and voluntarily; (iii) Each parent's past and potential for future performance of parenting functions as defined in RCW 26.09.004(3), including whether a parent has taken greater responsibility for performing parenting functions relating to the daily needs of the child; (iv) The emotional needs and developmental level of the child; (v) The child's relationship with siblings and with other significant adults, as well as the child's involvement with his or her physical surroundings, school, or other significant activities; (vi) The wishes of the parents and the wishes of a child who is sufficiently mature to express reasoned and independent preferences as to his or her residential schedule; and (vii) Each parent's employment schedule. Item (i) gets the greatest weight. In Step 3, item (iii) is very important. Parenting functions are defined as "(a) Maintaining a loving, stable, consistent, and nurturing relationship with the child; (b) Attending to the daily needs of the child, such as feeding, clothing, physical care and grooming, supervision, health care, and day care, and engaging in other activities which are appropriate to the developmental level of the child and that are within the social and economic circumstances of the particular family; (c) Attending to adequate education for the child, including remedial or other education essential to the best interests of the child; (d) Assisting the child in developing and maintaining appropriate interpersonal relationships; (e) Exercising appropriate judgment regarding the child's welfare, consistent with the child's developmental level and the family's social and economic circumstances; and (f) Providing for the financial support of the child. The court pays close attention to these items! 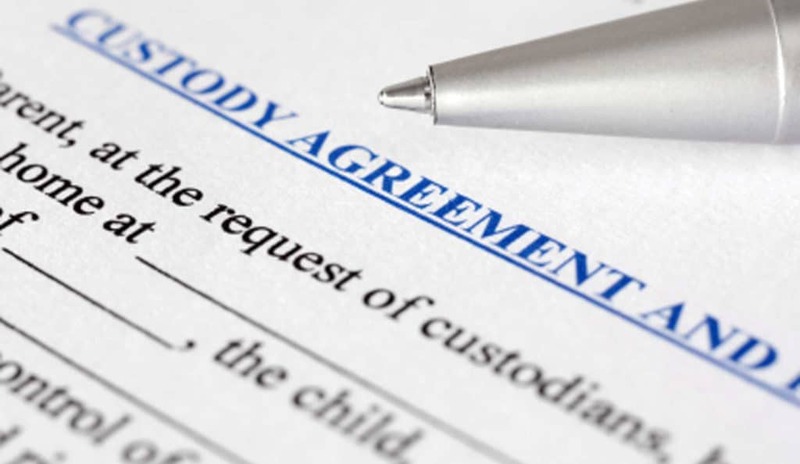 Having a shared residential schedule does not automatically cancel out child support. Child support is calculated based on the parents' incomes. So even if one parent has the child half the time, if that parent earns way more than what the other parent earns, there may still be a child support obligation. In addition, any extra expenses incurred by demanding "joint" custody (extra gas because of travel, missing time from work, etc) may not be considered by a court in calculating child support. Unfortunately, those expenses are thought to be the product of "be careful what you wish for because you just may get it." In other words, the fact that your position that the child live with you half the time means you are voluntarily incurring significant additional expenses that the other parent should not have to subsidize. Don't just agree to a specific parenting plan just to get the case over with. Modifications are HARD! You might not be able to undo your decision later on! Of course, a baseline parenting plan would state much more than the general visitation schedule. It would also contain sections on holidays, transportation, and more. You can find most of these details in our other articles and videos. If you’re interested in a baseline parenting plan, you might want to review our articles on a) a Normal Parenting Plan in Washington State, b) the Transportation Arrangements Section of a Proposed Parenting Plan, and c) a WA Parenting Plan's 'Other Provisions'. A restricted parenting plan may be appropriate if a parent presents a danger to the child. Often this means the parent has a history of drug abuse, physical abuse, or sexual abuse. Restricted plans typically entail short sessions of supervised visitation—no overnights or alone time unless the parent demonstrates he or she is on a successful path to recovery. For more information about our services and child custody and parenting plans, click here.